With close collaboration between the Long Beach, California’s Parks engineers and Assured Automation, design flaws that plagued their new Wave Fountain were overcome to provide a new attraction to the Queen Mary Events Park and Aquarium, adding dynamic impact to the nationally acclaimed park. With water being pumped at the rate of 11,000 gallons per minute, it was no less than a harrowing experience to the Parks engineers when the original fountain design failed. The original poppet solid on-off valves installed on two manifolds caused destructive harmonic vibrations in the equipment when they were opened and closed in different sequences. The poppet valves failed within days of the installation. Rather than continue with outside consultants, the City of Long Branch turned to Dave Edgar, their resident mechanical engineer to find a solution. Originally trained as a Hull Technician in the Navy, and then as a marine pipe fitter for the Long Beach Naval Shipyard, Edgar knew from experience the existing design would never work. Finding alternatives – especially in an environment where a test prototype was not an option — needed resourceful and daring minds. 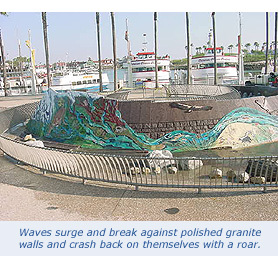 The Long Beach Wave Fountain presented rigorous – literally crushing – requirements. And as a municipal park fountain, the requirements for minimal maintenance and reliable performance were strict. 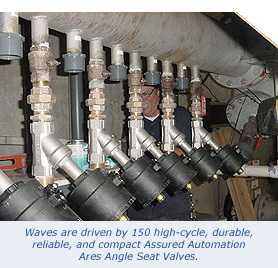 Replacing the poppet valves with an automated valve, the high-speed, durable and reliable Pneumatic Ares Angle Seat Valves with fast acting solenoids engineered by Assured Automation in Clark NJ to control the 150 water jets. The expansion loops reduce the harmonics. The hydro dampeners keep the seat from slamming close, softening the impact. The ideal internal flow characteristics, with its maximum capacity and high duty cycle, provide better performance compared to other valve designs. 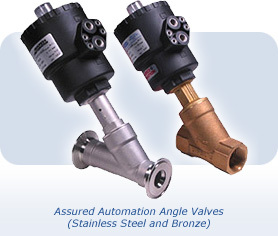 The Angle Seat Valve’s piston is unique, enabling the plug to retract farther from the flow path, ensuring the highest flow capacity. The dual packing design, and a large diameter self aligning stem insures the highest cycle life. These 2/2-way pneumatically actuated piston valves were originally designed for liquids, gases, steam and some aggressive fluids applications. The valve body and internal components are made entirely of AISI 316 SS (Ares Series) and the seals are in PTFE, therefore enabling a high chemical compatibility with almost all media used in the different production processes. The valve is also available in Brass & 316 SS (Zeus Series). The special internal conformation of the valve seat avoids excessive deformation of the PTFE seal at high temperature or pressure, making the Ares or Zeus a long-lasting valve. The self-aligning plug design guarantees a high duty cycle, under all kinds of pressure. The valves work well in a wide temperature range, from -14 to 358°F, making them a good choice for outdoor plaza fountains. The Stainless Steel Spring and the particular shape of the dual self-adjusting stem seals, ensure a perfect tightness through wear and tear of time. The metal piston coated with a slow-wearing protection, and the employment of self-lubricating guides and seals, guarantee an almost unlimited life to the pneumatic control section, even through constant use under the most extreme conditions. The valve is provided with long lasting seals. Guides and seals are made with a self-lubricating material. The control head rotates 360° for selective positioning of the pneumatic inlet port. 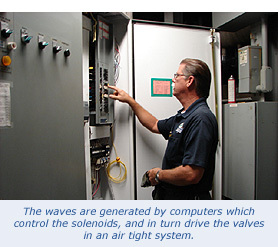 Available in sizes from 3/8″ to 2″, the pneumatic valve is small, but with a series of 135 jets, packs a big wave. 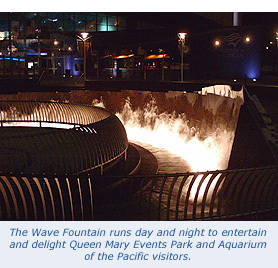 The new Wave Fountain runs day and night to entertain and delight Queen Mary Events Park and Aquarium of the Pacific visitors. The park has been recognized as the most outstanding parks and recreation agency in the country by the National Recreation and Parks Association in 2006. 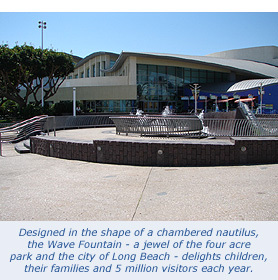 Designed in the shape of a chambered nautilus, the fountain – a jewel of the four acre park and the city of Long Beach – delights children, their families and 5 million visitors each year, as waves surge and break against polished granite walls and crash back on themselves with a roar. 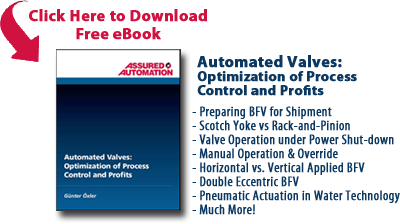 This entry was posted in Latest News and tagged Angle Valves, Ares & Zeus Series, Automated Valves, Compact Automated Valves, Pneumatic Piston Valves, Pneumatic Valves, Pneumatically Actuated Valves. Bookmark the permalink.